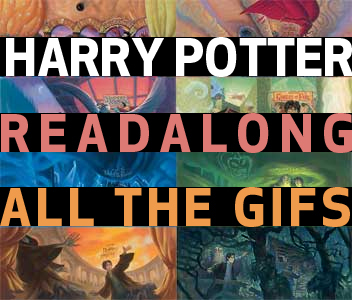 I am late with my post on for the HP Readalong (ALL THE GIFS!!! ), hosted by Alice at Reading Rambo. I was visiting Mississippi, doing some AWESOME, work related things, and in the meantime finishing HP, but finding no time to post. But, not to fear, I am hear now. And CoS really picked up for me in the second half. I just needing to get past the NOTHING HAPPENING, with a little bit of creepy sprinkled throughout. And don't get me wrong, I like creepy. Creepy spiders, creepy 50 Shades of Dobby scenes (stop beating that house elf and making him iron his hands! ), creepy SSSSSSSSSnake scenes. 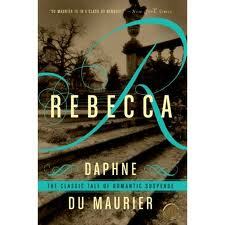 I totally know what happens in this book, but I still felt kind of surprised whenever there was a twist or turn. For instance, I spent a lot of time thinking to myself...Is Harry Potter Slytherin's heir? and OMG...TOM RIDDLE IS VOLDEMORT (which isn't really even a twist, because you find out about three seconds after meeting Tom Riddle). I may have even spent a minute being suspicious of Percy the Prefect. So, well played JK, well played. I am still pretty excited to be moving on to the next though. I did check out the first two movies from the Public Library today though, super excited to re-watch them! I'm on it. THE RIDDLER! This is very awesome gif usage, miss! I couldn't resist that Riddler GIF. Sorry about that. I couldn't help but hear that tone as I as reading them.